Wavestream has introduced an innovative, high reliability, 60W Ku-band GaN Block Upconverter (BUC) that meets the stringent military and environmental market requirements — Wavestream’s solution provides customers more linear power and less power draw. According to the company, the new 60W Ku-band GaN BUC offers unmatched efficiency and performance answering changing market demands. This next generation of GaN BUC follows the shipment of thousands of Wavestream’s Ku BUCs with GaAS technology setting the benchmark for Ku-band BUCs used in a variety of ground applications. Bob Huffman, GM at Wavestream, said the company’s proven technology, reliability and high-volume production capabilities are now engaged in responding to customers’ needs for an innovative high output power, 60W GaN solution for the military market. Huffman added that Wavestream products draw less power when backed off to help save valuable energy resources, generating less heat, ensuring a higher MTBF for greater reliability and lower lifecycle costs. 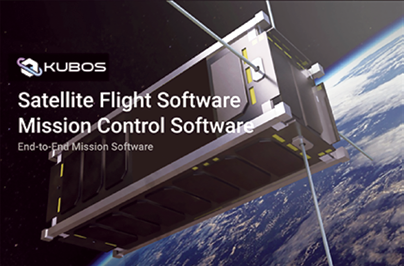 Kubos Corporation (Kubos) has received a Phase I Small Business Innovative Research (SBIR) award from the U.S. Air Force to validate a Kubos solution to securely host third-party applications on spacecraft already in orbit. This capability will reduce the time it takes to develop advanced software technologies for space applications from years to just months. This will also increase the utility of spacecraft on-orbit and improves space system resiliency. Kubos has developed a spacecraft software framework and development infrastructure using a tailored version of Kubos commercial products. This framework enables spacecraft already in orbit to be used as an operational platform to prove and deploy software capabilities. 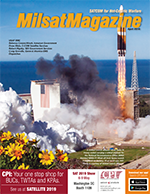 The capability to run hosted software applications in parallel with the spacecraft primary mission software allows new technologies to be advanced more rapidly without impacting or adding risk to the primary mission. Kubos is also offering this solution to commercial customers to help them create innovative business models and new revenue streams. Marshall Culpepper, CEO of Kubos, said that in today’s environment, rapidly evolving threats require the U.S. to more swiftly develop and evolve space technologies. Culpepper then added that this low-risk solution is designed to help the U.S. Air Force, government agencies, and commercial satellite operators accomplish that need. Dean Hawes, VP of Programs at Kubos, added this is an exciting opportunity for Kubos to work directly with the U.S. Air Force. The company is looking forward to demonstrating a capability that will enable rapid technology refresh, greatly enhancing mission flexibility and spacecraft utility for government and commercial customers. ManTech (Nasdaq: MANT) has been selected as one of three companies to continue collaborative development of a prototype for the Department of Defense’s Persistent Cyber Training Environment (PCTE) platform. This phase of the program will be conducted through an Other Transaction Agreement (OTA) with the National Security Technology Accelerator (NSTXL). Under the OTA, ManTech has partnered with a trio of recognized cyber innovators: APTIMA, Inc. for training assessment expertise, SCYTHE, Inc. for cyberattack ingenuity, and Ultimate Knowledge Institute for dashboard creativity. This partnership will collaborate with the government integration team and the other two selectees to support the definition, development, testing and integration of best-in-class capabilities into the prototype PCTE platform. Over the tenure of this program, prototype work involves multiple “Cyber Innovation Challenges” conducted at the Army’s PCTE DevOps Center in Orlando, Florida. 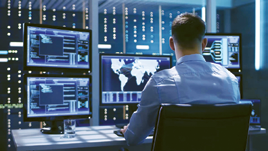 In this latest phase, Cyber Innovation Challenge #3, ManTech and its partners will collaborate with the Product Manager – Cyber Resilience & Training (PdM-CRT) to develop cyber training event control capabilities for the PCTE platform. 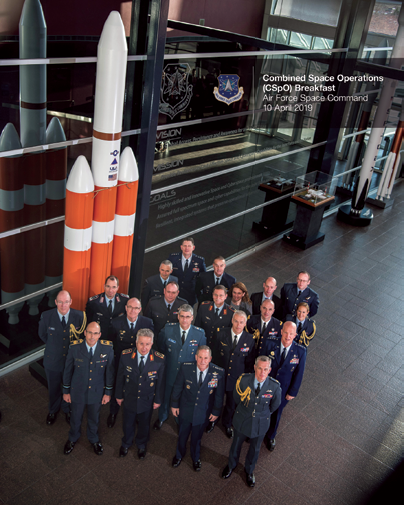 On April 10, Air Chiefs and senior space officials from Australia, Canada, France, Germany, New Zealand, the United Kingdom, and the United States held a meeting at Headquarters Air Force Space Command to discuss the future of the Combined Space Operations (CSpO) initiative. “As defense leaders in our respective nations we unequivocally recognize the strategic importance the space domain has on our economy, technology, national security and defense. “To that end, we collectively share the view that military cooperation concerning the space domain is vital to our countries’ interests. “Our respective Nations are actively working together to address threats and shared interests in space; and to preserve access to the space domain for the future of humankind. “We are actively coordinating to further our national interests through the Combined Space Operations (CSpO) initiative. In part, CSpO collaboration includes enhanced Space Situational Awareness and data sharing among all partner nations to support space activities. “To enhance our space collaboration, we are also discussing operational concepts, personnel needs and infrastructure requirements to enhance multinational command and control of space forces in and through the Combined Space Operations Center and the other national Space Operations Centers. Major General Stephen Whiting, Deputy Joint Force Space Component Commander, briefed the status of the CSpO initiatives to the Air Chiefs and senior space officials from the seven nations during the meeting. The 21st Space Operation Squadron, Detachment 3, gathered at Kaena Point Satellite Tracking Station, Hawaii, earlier this year to celebrate 60 years of space operations. 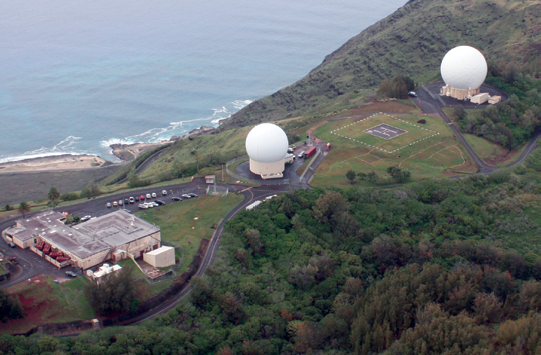 One of eight satellite remote tracking stations in the U.S. Air Force Satellite Control Network, Detachment 3 is located on the island of Oahu approximately 40 miles from Honolulu and Hickam Air Force Base, Hawaii. Major Edmond Chan, 21st SOPS, Detachment 3 commander, presided over the ceremony that featured Brigadier General Ryan Okahara, Hawaii Air National Guard commander and Guard Advisor to the 14th Air Force commander, as guest speaker. Jason Hughes, 21st SOPS, Detachment 3 site manager, said in the past 60 years the site has seen advancements in hardware and software, increasing the level of effort provided. He noted, “Rising demands for information by our decision makers across the globe required increased tempo. What was once done by paper and mailed to the remote tracking stations, is now transmitted in mere seconds providing on the spot updates. Where two antennas once stood, we now see one. One antenna now can provide both the tracking and commanding data for our constellation of satellites. As with any kind of progress, over 60 years there have been challenges. “Operational tempo and sustainment requirements are steadily increasing. The way we handle the increase is to prioritize activities. Activities that are inherently tied to force readiness are automatically a top priority, he said. In addition to the mission, Kaena Point Tracking Station also works hand in hand with the local communities in times of need and disaster. “From fires, hurricanes and search and rescue missions on or near the site, we stand ready to work with our community providing a clear pathway to the skies,” Hughes said. Kaena Point Tracking Station is one in a crucial network of sites that support more than 185 satellites, and perform mission operations around the world. Going forward, Detachment 3 will continue to innovate and execute today’s operations as tempos increase and satellites continue to launch. “Kaena Point Tracking Station has an enduring space mission, sitting on a strategically ideal location in the Pacific and is postured for growth,” Chan said. Reaching the 60th anniversary milestone is a reminder to those working the site of the importance of meeting the mission partners needs. As of January 22 of this year, the site reached 60,000 error-free satellite supports for 1,000 consecutive days. This is the excellence Hawaii tracking station looks to continue — mastering space, now and into the future. The U.S. Air Force’s (USAF) third space-based infrared system (SBIRS) geosynchronous Earth orbit (GEO) satellite has delivered first images from its orbit. The imagery was transmitted to the SBIRS ground station at Buckley Air Force Base in Colorado. The Lockheed Martin-built SBIRS GEO Flight 3 satellite is equipped with scanning and staring sensors and was launched on 20 January to support the USAF with accurate missile warning data. The SBIRS GEO Flight 3 satellite was launched from a United Launch Alliance Atlas V rocket at Cape Canaveral Air Force Station in Florida. Upon reaching its final geosynchronous orbit, which is approximately 22,000 miles above the equator, the satellite completed deployments of its sun-tracking solar arrays, antenna wing assemblies and light shade. 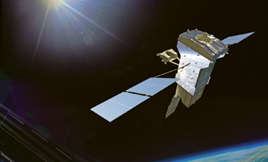 The satellite is capable of collecting and transmitting infrared surveillance information to ground stations. The satellite information will be used by the U.S. military to detect missile launches, support ballistic missile defence, expand technical intelligence gathering and bolster situational awareness on the battlefield. Lockheed said that the next satellite in the series, GEO Flight 4, will undergo final assembly, integration and test at the company’s satellite production facility in Sunnyvale, California, ahead of the satellite’s planned launch later this year. The company will also update the fifth and sixth SBIRS satellites under a no-cost contract modification for the USAF. The KOR-24A Small Tactical Terminal (STT). CMR enables a Link 16 radio to receive multiple messages simultaneously versus legacy radios that can only receive one message at a time. Taking a proactive approach, Viasat Inc. (NASDAQ: VSAT) has successfully integrated CMR advancements into the company’s extensive line of next-generation Link 16 products — ahead of emerging government requirements — to help ensure warfighters have assured access to mission-critical information when using Link 16 communications — regardless of location (air, land or sea) or platform (aircraft, ground vehicle, ship or dismount). The CMR features have now been implemented in the latest version of the KOR-24A Small Tactical Terminal (STT), of which more than 1,400 units have been fielded by the U.S. and International customers, as well as the AN/PRC-161 Battlefield Awareness and Targeting System – Dismounted (BATS-D) handheld Link 16 radio. As a result, the new capabilities are also now resident in the Viasat Move out / Jump off (MOJO) expeditionary tactical gateway system and Viasat’s other embedded product lines. These features, coupled with the Link 16 Enhanced Throughput modes that were already resident in Viasat’s next-generation products, will enable network planners to fully optimize network performance enabling maximum participants sharing maximum capacity of information to support mission requirements. 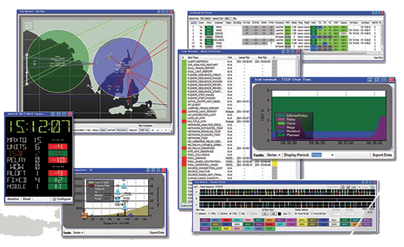 Link 16 software tools screenshot is courtesy of Viasat. Viasat’s NDI-driven development processes will bring CMR Link 16 capabilities to products that provide users with access to simultaneous, resilient communications streams of mission-critical data. 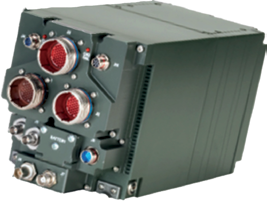 Viasat’s CMR Link 16 capabilities will also allow U.S. military customers to both expand the number of units with direct digital access to key tactical data while also addressing network congestion in order to adapt to emerging mission requirements and maintain a tactical edge across today’s battlespace. Ken Peterman, President, Government Systems, Viasat, said the company listens to their customers, understand their pain points and develop products and capabilities that will better serve the needs of today’s warfighter. 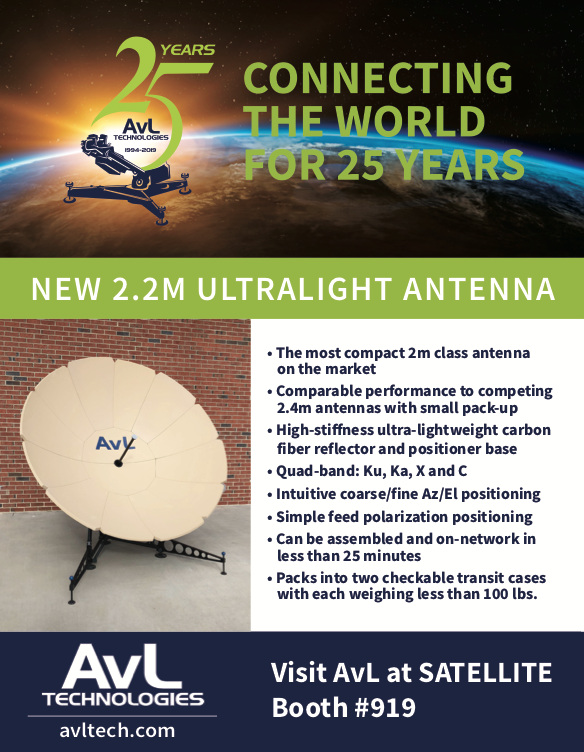 Viasat’s proven non-developmental item (NDI) business model is designed to deliver new capabilities significantly faster, at lower lifecycle costs and with lower risk to the customer when compared to traditional acquisition programs and timelines. Peterman added that bringing CMR capabilities into the firm’s Link 16 portfolio will allow military personnel to have battlefield depth — creating a networked force that will have significantly shorter decision cycles, increased effectiveness and improved safety. Andy Kessler, Vice President and Business Area Director, Next Generation Tactical Datalinks, added that through the company’s agile development processes and proven non-developmental item business model, a broad portfolio of next-generation Link 16 products can be delivered that continue to address the urgent needs of today’s warfighter, while also providing the technology and capabilities required to support the missions of tomorrow. 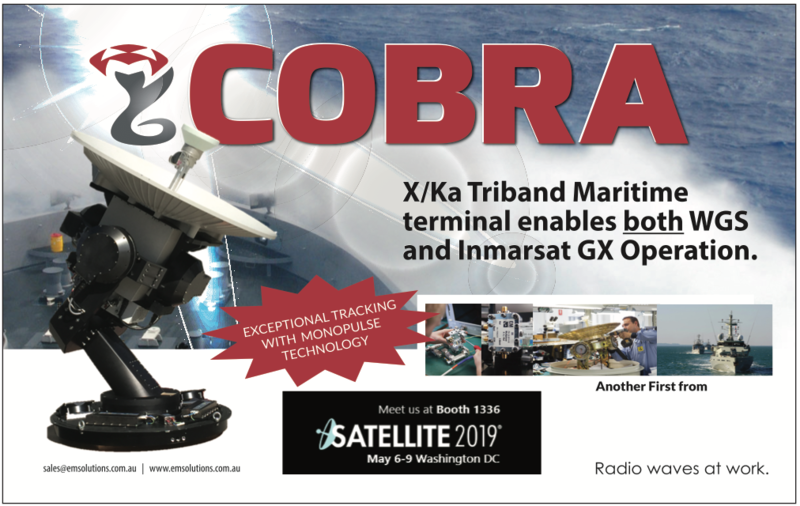 Kessler added that, rather than waiting for a Government mandate, Viasat took action to deliver advanced CMR capabilities that will provide U.S. military customers with the tactical edge needed to succeed across today’s battlespace.